It was seen big chains of clinics across the Middle East and India, did trials on different machines from the USA, Europe and S.korea. ( Names can be furnished on request ). Machines had similar parameters and some even had better specifications in numbers than Helios 3, but most of them decided to purchase Helios 3. 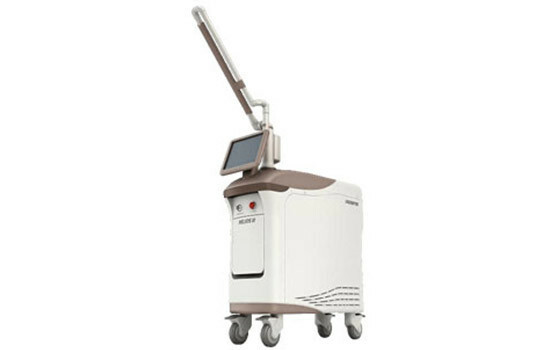 Most of the machines had options of Soft light hair reduction, tattoo removal, and carbon peel, but still, Helios 3 was singled out as a winner. This was worth the curiosity, that what did practitioners like in Helios 3 over other machines. One reason can be that Helios 3 is made by Laser Optek, leading laser manufacturing company having offices in S.Korea and USA. If that was the case most of the other companies were also from Either: USA or Europe or S.Korea Helios 3 has US FDA approval and CE European approval, but then most of the lasers had CE approvals, and few had US FDA approval too. Helios 3 had High energies and correct pulse widths, Top Hat beam which is ideal for Aesthetic lasers; it was seen that all machines claimed similar advantages. Through the use of patented 4G toning technology, the HELIOS III provides faster and more effective laser toning.